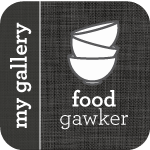 A few weeks earlier when we were back east in New York City, I remember looking at two of my favorite food blogger sites – foodgawker and tastespotting – and there were a ridiculous number of Peanut Butter Pies posted. Now, that is not completely unusual, because when there is a Daring Baker challenge, I often see many of the same dishes posted – but this was different, and it went on for days. When I saw the Peanut Butter Pie posted on Not Without Salt, I decided to read the post to see what was going on. A well-known blogger from NYC lost her husband. It was a sudden tragedy, just like what happened to a good friend of mine that I wrote about here. It brought me back to that place, that helpless place of not being able to do anything to help. 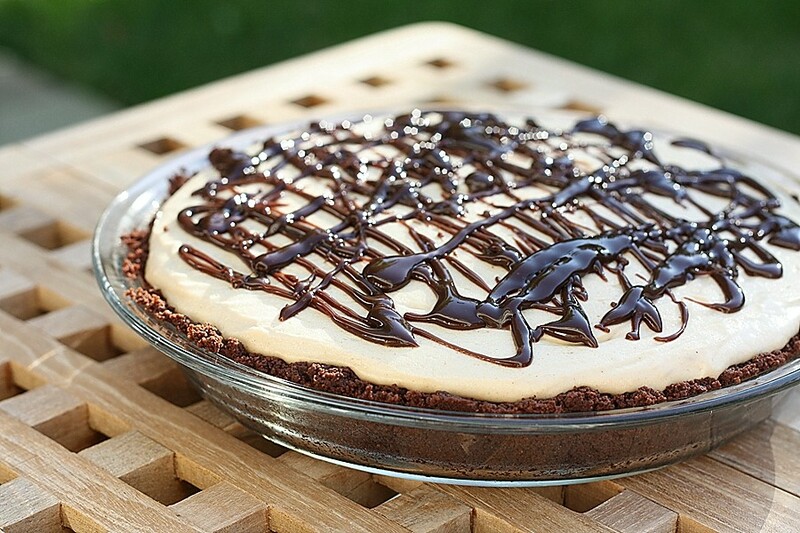 Peanut Butter Pie was his favorite dessert – and not even days after he passed away, she made a Peanut Butter Pie in his memory. I had to do the same. This recipe comes from my Aunt Marilyn, who is no longer with us. She was a very good cook, and my grandmother often used her recipes – such as this one. What I love about this recipe, is you can use all light ingredients, and you would never know – it is amazing. The added bonus is that it makes two. So, you can enjoy one right away, and freeze the other for a different occasion. I was happy to solve the Peanut Butter Pie mystery, until I figured out what actually happened – my heart goes out to her and her children. To make the crust, grind the teddy grahams in a food processor until fine. Transfer to a bowl and mix in melted butter. Press crust into 2 – 9″ glass pie plates, pressing up the sides. Bake at 350 degrees for 6-8 minutes. Let the crust cool completely. In a bowl, combine peanut butter, cream cheese & vanilla; beat until smooth. In a separate bowl, whisk milk & sugar until smooth, then gradually add to peanut butter mixture, & blend until smooth. Fold in whipped topping. Pour a layer or fudge on topped of cooled crust, then spoon peanut butter filling into crust, mounding as necessary. Freeze. Serve frozen or thaw 10 minutes ONLY. Pie is better when it is VERY cold. Makes 2 – 9″ pies, with some leftovers to put in ramekins. oh wow this is truly up my alley and would be a crowd pleaser here! i think i even have teddy grahams already! can i press a button and have it in front of me right now?! I read many of those posts…(the peanut butter pies). I cried each time too. Your pie is a beautiful tribute and a reminder for me to try and keep present no matter how busy I get. We’ve been looking for a peanutbutter pie recipe. This one looks like a winner. More than a great dessert, I am sure this will be a great conversation piece as well. Everybody will be asking for the recipe or asking for another slice, or perhaps a bring-at-home slice…Gee! I’d better start making this!